Yes, it’s tournament time, so there is no better time than to salute my alma mater, Purdue University. They’re a 3 seed in the Big Dance, and nearly everyone will be indoors watching basketball in their home city of West Lafayette, Indiana, but we can give them a forecast anyways, I guess. At 254PM, ET, Lafayette was reporting clear skies with a temperature of 47 degrees and brisk north winds that belied the high pressure stably in place over the region. 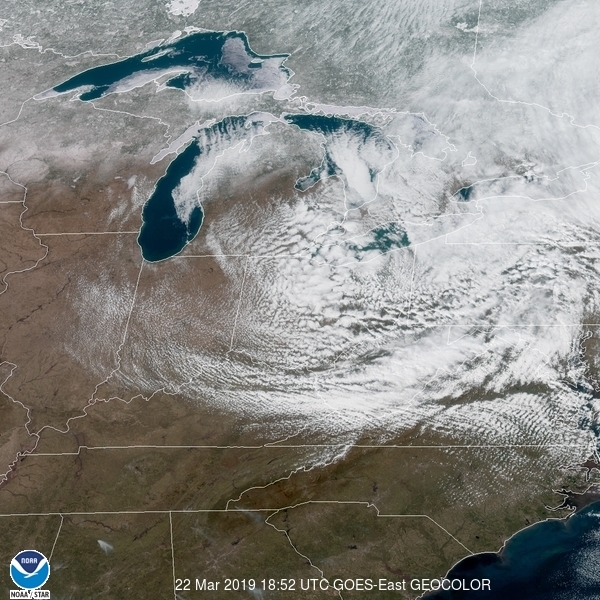 Satellite gave a clue to the blustery conditions, as Indiana was clearly in the wash of a strong system moving through the Eastern Seaboard this afternoon. 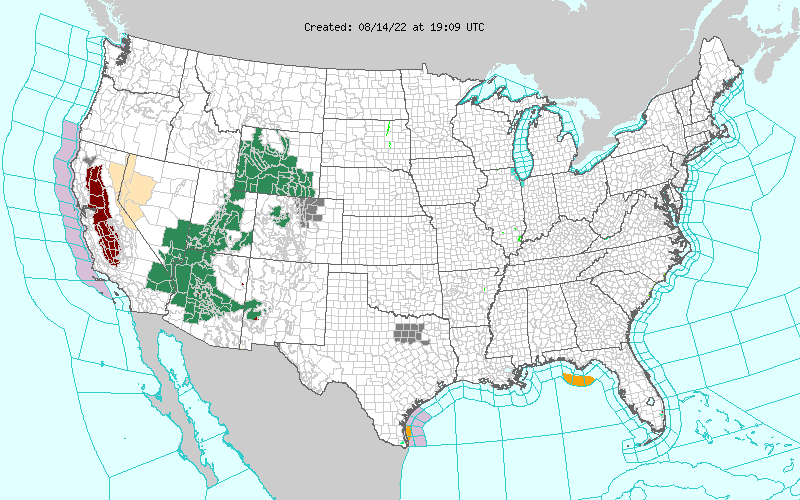 High pressure will remain in place across the Great Lakes tonight and through the day tomorrow, but the pattern aloft is moderately active, particularly in the Plains. A weak low will be bolstered by a sharp trough with weak flow through it in the Plains will start to approach the Hoosier State. Rain won’t reach Lafayette by the time the weekend ends, however some clouds will likely start to build.